We've made 25 wedding dresses, and 52 couture dresses altogether. Our brides have got married in woodlands, celebrated receptions in grand hotels, historic landmarks and church halls too. Our dresses have travelled abroad to0, to America, the Mediterranean and Marrakech. It has been an absolute joy to work with our brides and realise the dresses of their dreams. It really is the best job in the world! which was chosen as one of Love My Dress' top 25 weddings and featured in their Christmas Magazine too! And then there's the inspirational shoots that we have been involved with too. These are from a shoot for Judith Brown Jewellery's new bridal range taken in the conservatory at Sandon Hall by Holly Booth. And then there were the Open Days at The Heath House and Dunwood Hall, were we loved showcasing our bridal collection, and it has to be said we had a lot of fun! Summer in a Blue VW van wearing Betsy at Dunwood Hall. And to reflect the continuing development of Sarah Willard Couture, in November we launched a brand new logo! We couldn't resist a Christmas version with holly too! The end of the year featured the launch of our evening wear collection. A journey into ready to wear in order make our designs accessible online has always been a dream, eeek... now it's reality! The year ends where it began, with the imminent final of The Wedding Industry Awards. 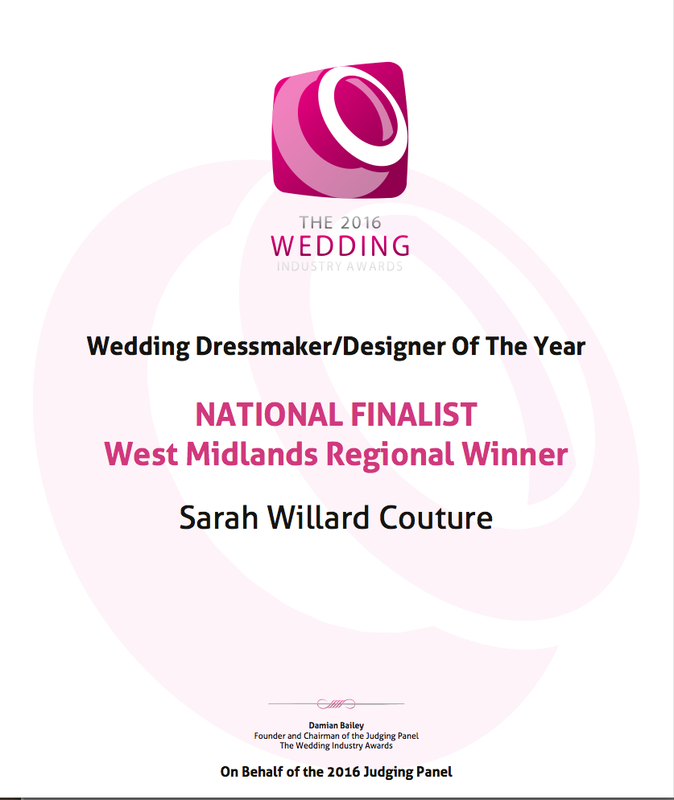 And this year we await the National Final again; we're thrilled that we have earned our place as Regional Winners as Best Wedding Dressmaker Designer for the third year in a row! 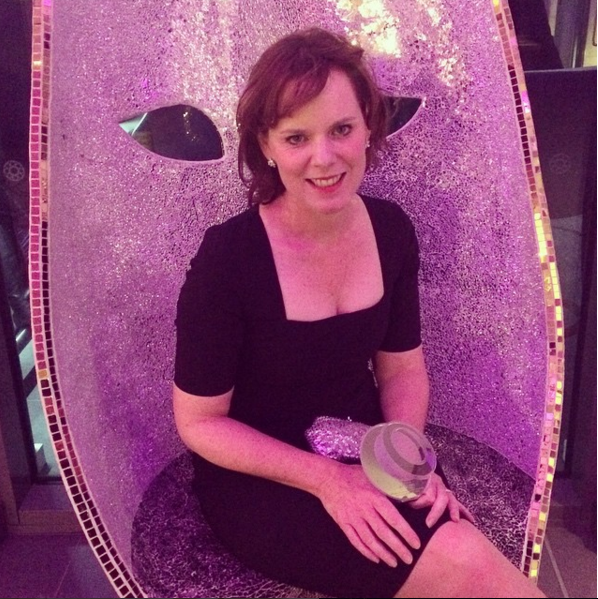 At the minute my awards dress is just a sparkle of an idea... or ideas... too many ideas... I guess that's the perk of the job, Cinderella will definitely go to the ball! We wouldn't be where we are without the support of our families, who have put up with us sewing into the small hours at times. The life of a Couture Girl really is a passion, and we really do spend our lives surrounded by beautiful fabrics and threads. There are so many new plans for 2016, we hope that you'll continue to follow us on our journey. 2015 really has been a wonderful year. A huge thank you to our customers past , present and future for allowing us to create your dream dresses for you. Wishing you a happy and prosperous New Year. The Wedding Industry Awards - We've Great News!